As part of our Point of View series and on World Hearing Day, ITV Central producer Lucy Kapasi explains how she tackled her hearing loss. March is forecast to see a record number of MOT failures in Birmingham, according to research by a tyre manufacturer. This is what will happen at the Bet365 stadium and at Stoke Minster. 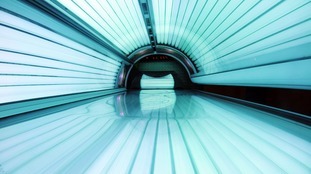 An MP who developed skin cancer says sunbeds are 'killing machines' and should be banned. A man is in a serious condition in hospital after a crash involving four lorries closed the M1 motorway in Leicestershire. A 4-year-old girl from Derby who has a very rare type of cancer now faces a mammoth fundraising challenge to get treatment in America.